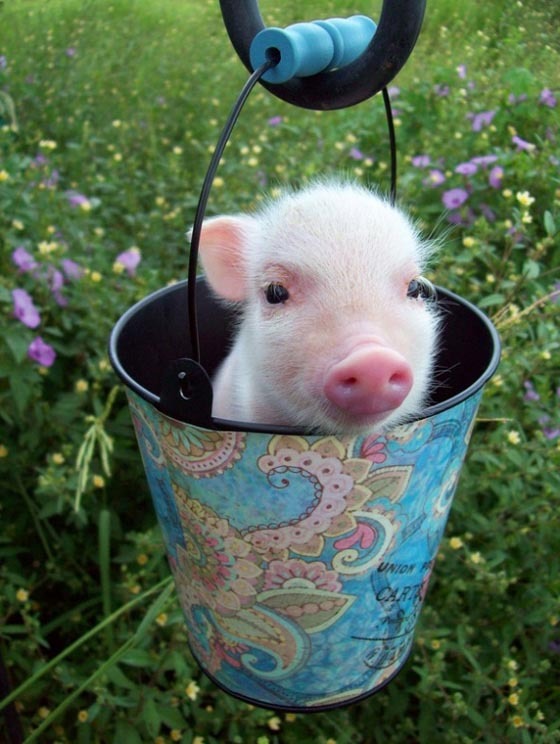 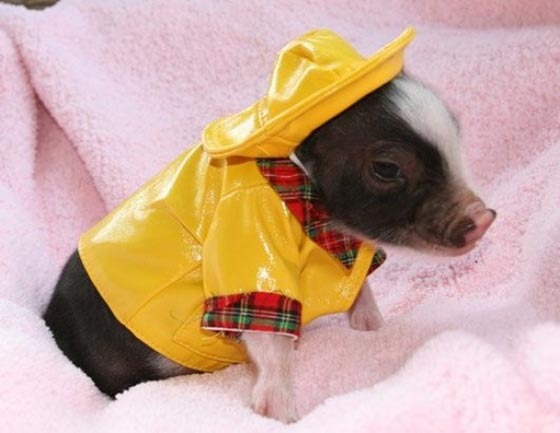 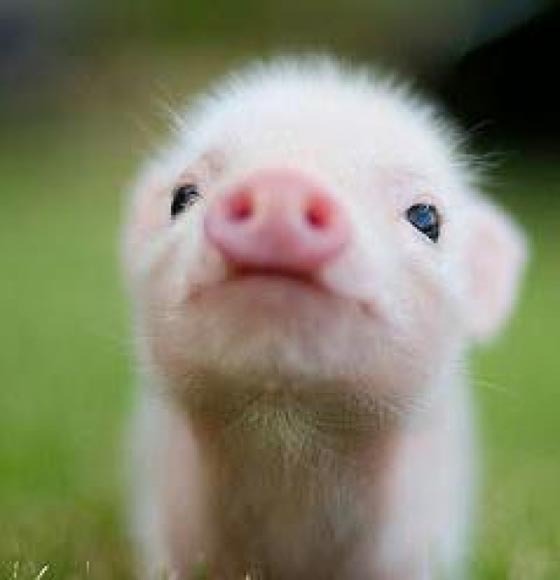 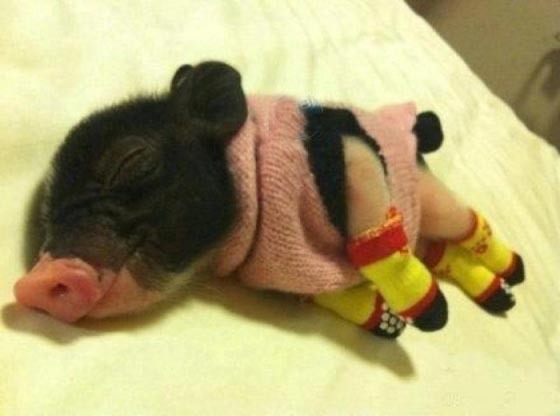 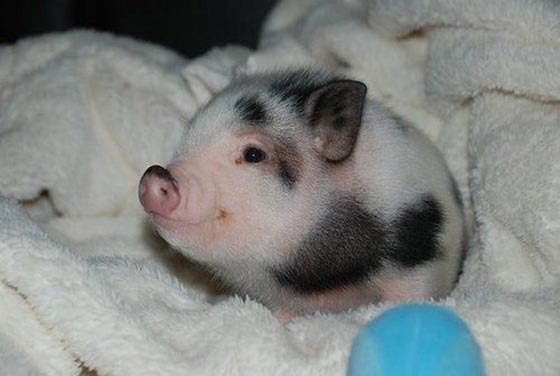 Mini Pig or known as Teacup Pig is a breed first developed for medical research then it becomes popular as pet in 1980s. 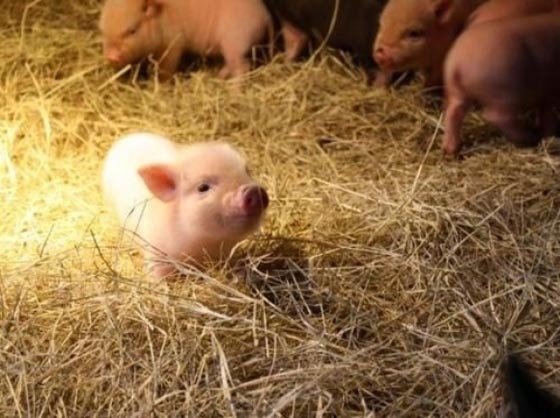 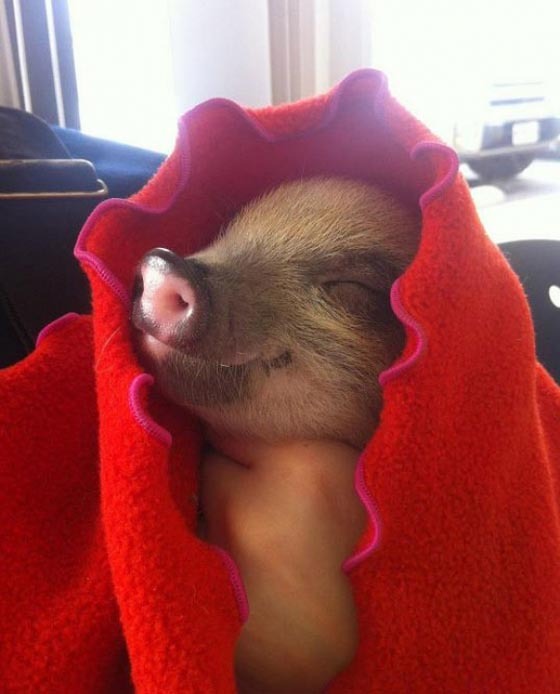 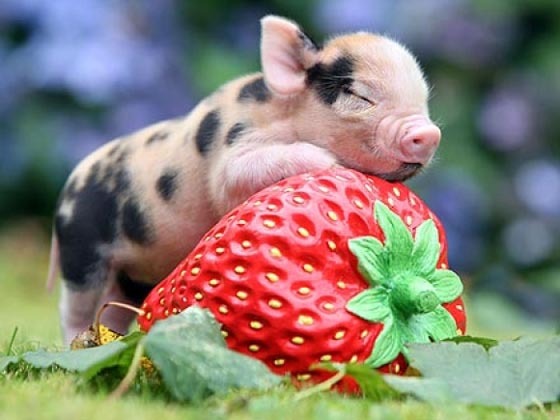 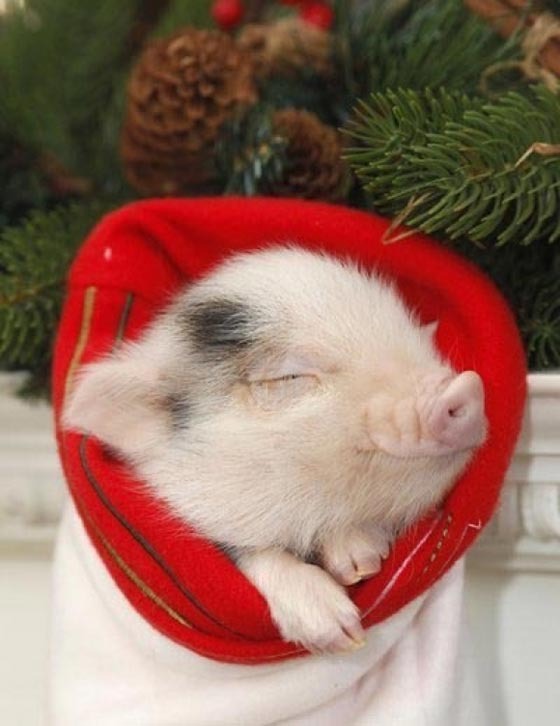 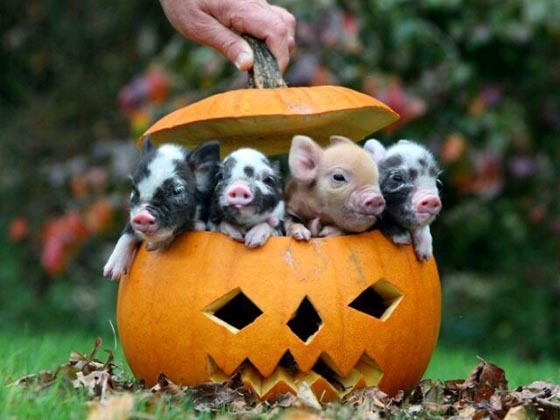 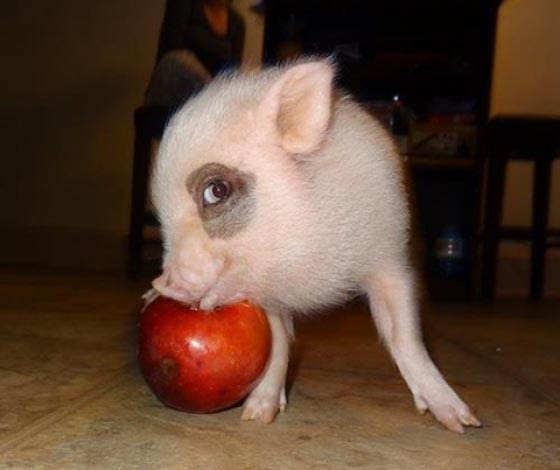 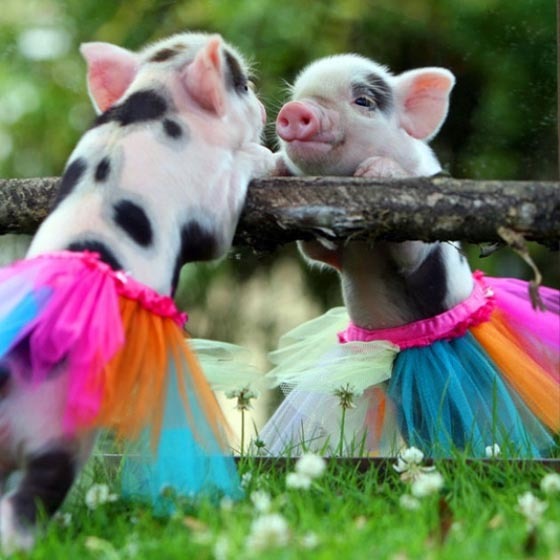 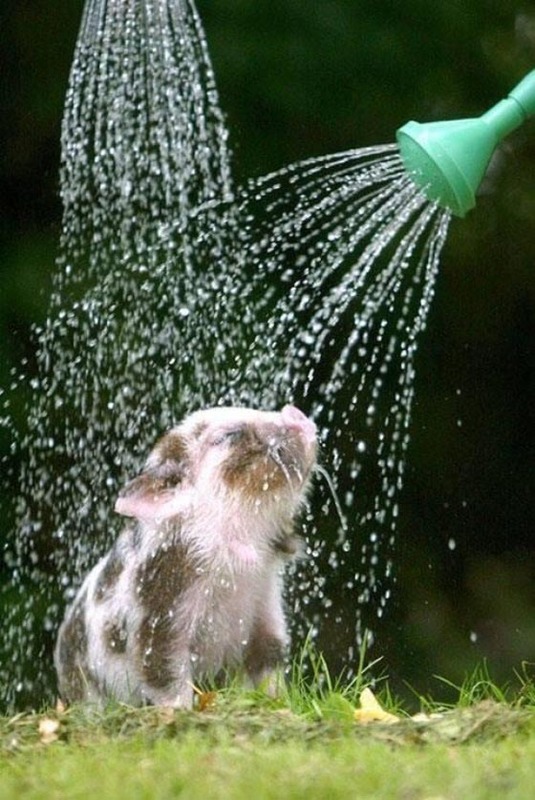 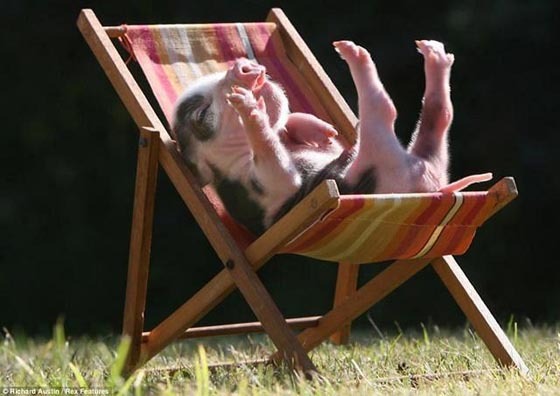 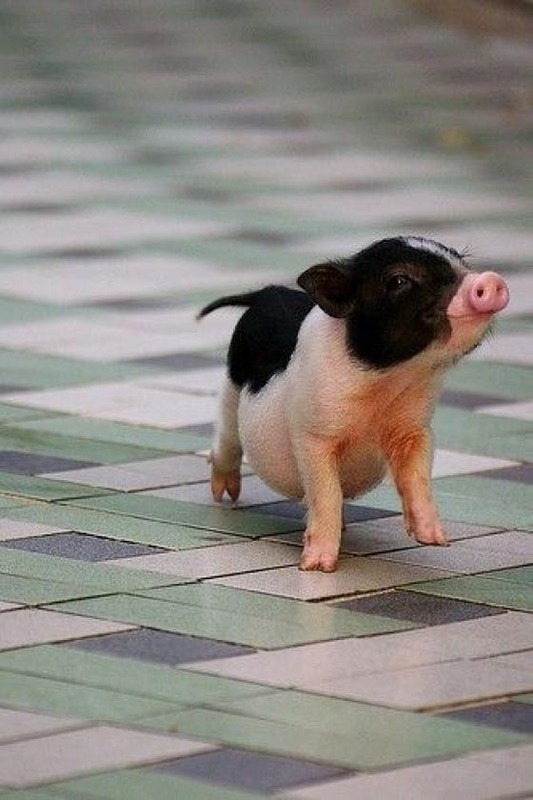 Mini pigs, growing to about 14 inches long, are intelligent and good house trained pets. 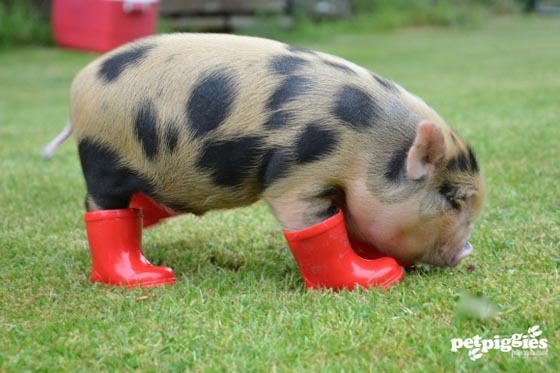 If you ever see someone walk their min pig on the street or play with them in the park, don’t be surprised. 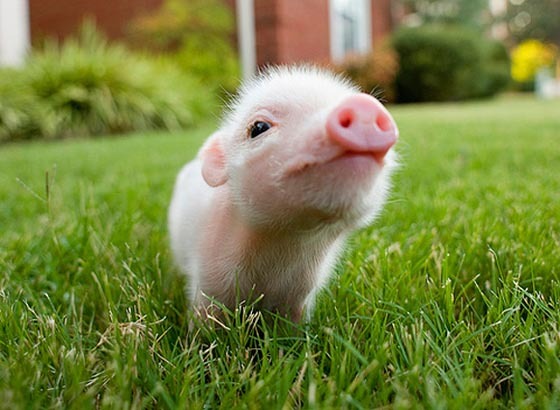 Because these little guys are actually incredibly cute and no wonder we can find so many shots of them. 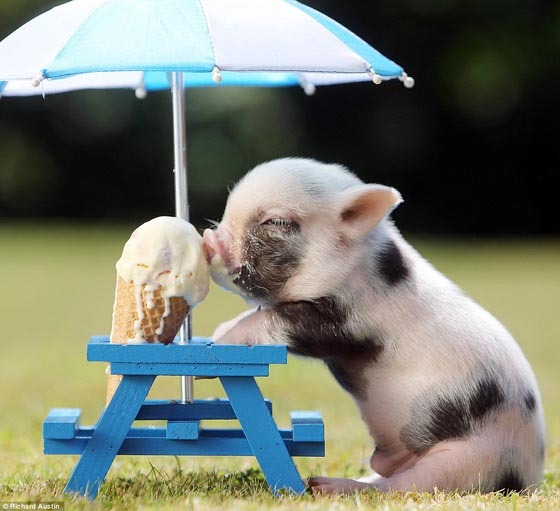 Take you time and enjoy our collection of these lovely mini pigs and hope it can put a smile on your face. 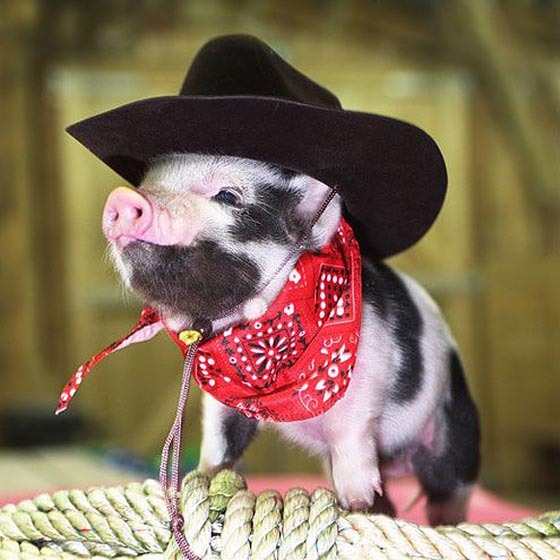 PS: click the photo to find its source.